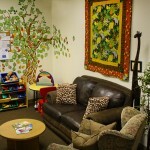 Monarch Children’s Justice & Advocacy Center is a place where trauma stops and healing begins. Working together, a multidisciplinary team is changing the way the community responds to victims of child abuse and neglect. This multidisciplinary approach offers victims and their families a place where they can access the help they need to heal emotionally and physically from abuse.